Blue ventile anorak with hood, two buttoned pockets and a velcroed pocket.Metal half zip nylon cord with plastic toggles round hood. 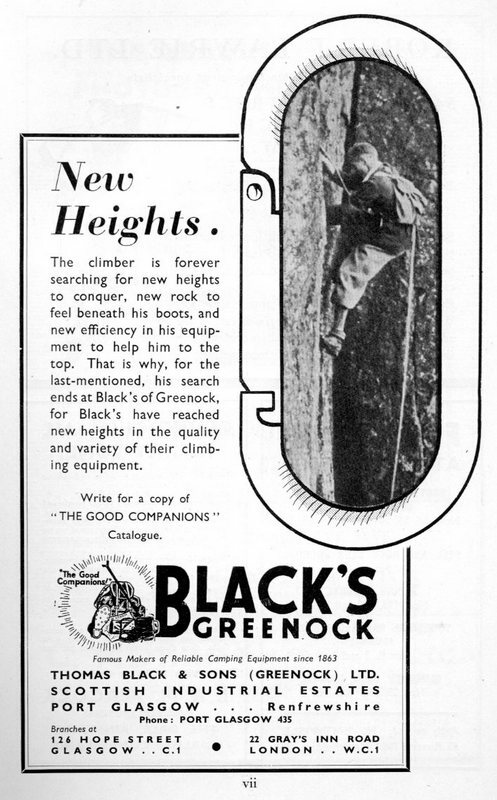 On inside label "MAKERS BLACKS GREENOCK MADE IN BRITAIN" "MEDIUM"
Thomas Black began his business career as a sailmaker in Greenock in 1863, no doubt unaware at the time that his business would go on to become one of the best known names in the outdoor equipment market. 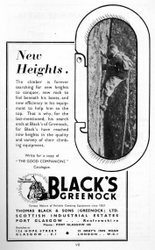 Diversifying into tents and camping equipment when the age of sail came to an end and buying similar, smaller businesses, then producing iconic brands such as the Good Companion tent and Icelandic Sleeping bag, all kept Thomas Black & Sons as market leaders for over a century. Just about everybody out and about the Scottish mountains was wearing a Black's anorak in the 1950's and 60's and we are delighted to have this little icon of the era in the collection which was given to us by hillman, munro-bagger and mountain rescuer, George Bruce. 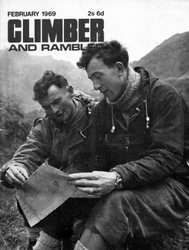 We've got the material down as ventile, but we are not 100% sure as it looks and feels like a form of lightweight canvas.